Each shell is 1/2″ deep X 3″ X 5″ and can hold 2 to 3 oz of meats. 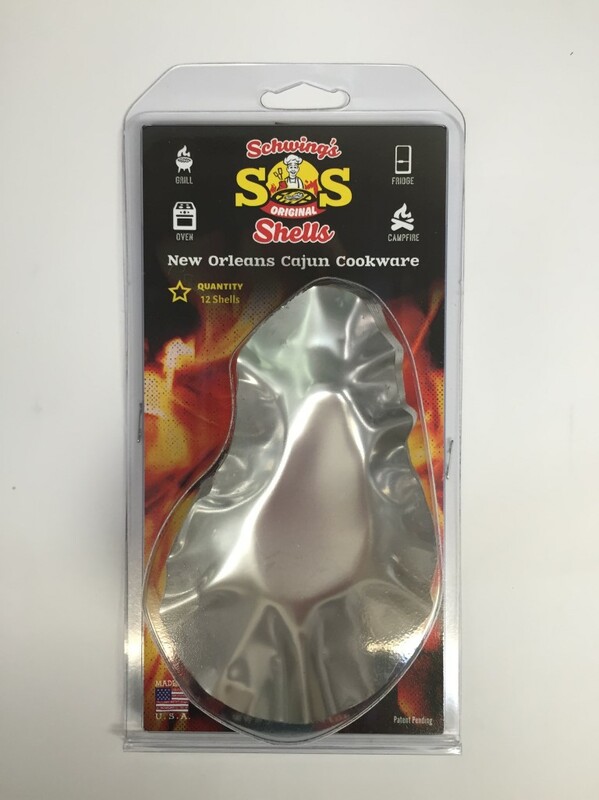 The shells are made of 26 gauge stainless steel, cooks evenly, and is safe in the dishwasher/freezer/oven/BBQ. Patent is Pending. Each pack includes 12 shells. 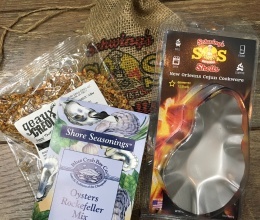 Now you can order a Gift-Wrapped Package, or get your shells with a Burlap Travel Bag. 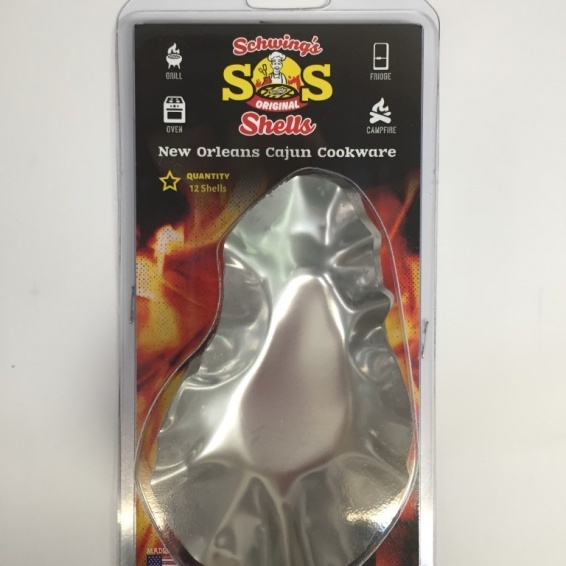 SOS Shells are flat bottomed, stainless steel “shells”. They are sanitary, deep enough for your “special” sauce, and easily cleaned and reused. 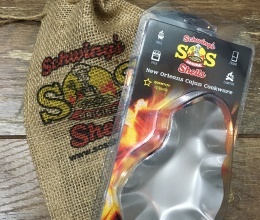 Use them to grill oysters, shrimp, vegetables and more!